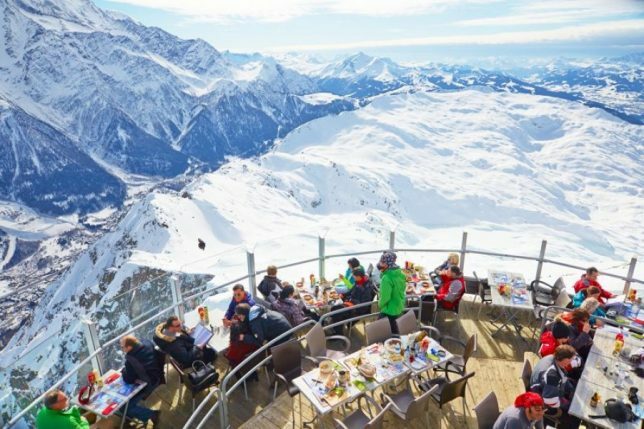 If you aren’t the type to get queasy and short of breath at high elevations, Le Panoramic at the Brevent Ski Resort in Mont Blanc, France is a dining experience that can’t quite be matched anywhere else. 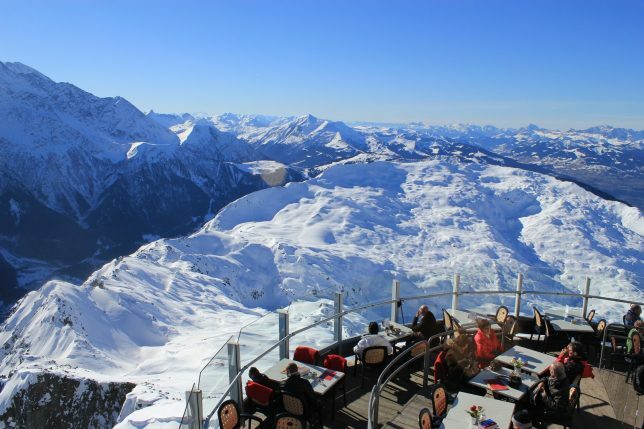 Located almost 9,000 feet above sea level, it’s one of the highest altitude restaurants in the world, looking out onto the mountains rather than a bustling city. 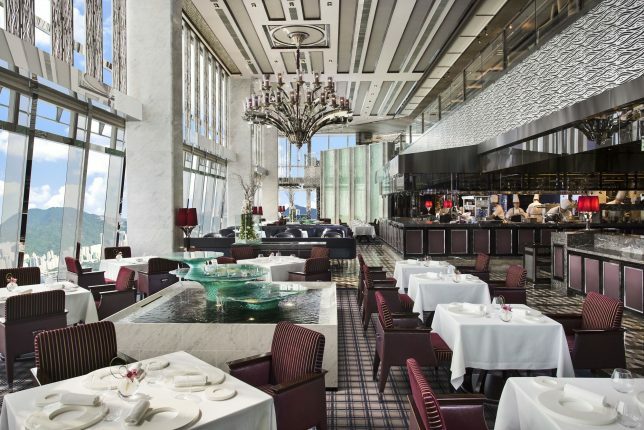 The Ritz-Carlton Hong Kong is the world’s highest hotel, located at the top of Hong Kong’s tallest building at 1,601 feet, and contains the elegant Michelin-star Italian restaurant Tosca as well as the ultramodern Ozone Bar on the 118th floor. 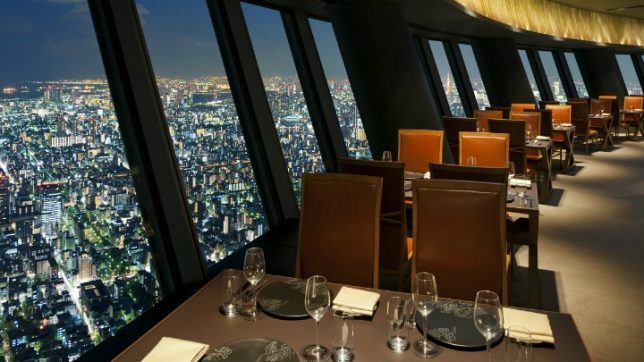 Sky Restaurant 634 is on the first observation deck of the Tokyo Skytree tower, making it the city’s highest restaurant (and therefore, the one with the most breathtaking views.) 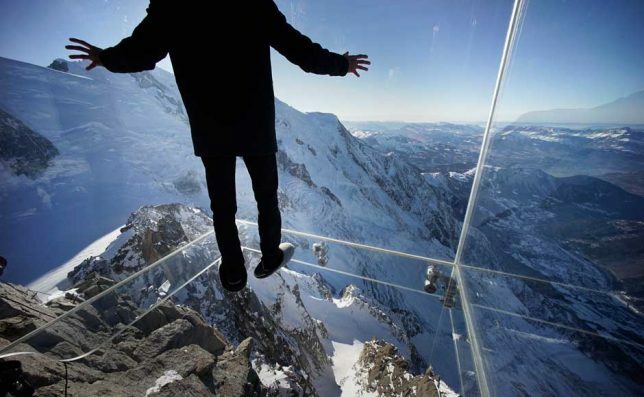 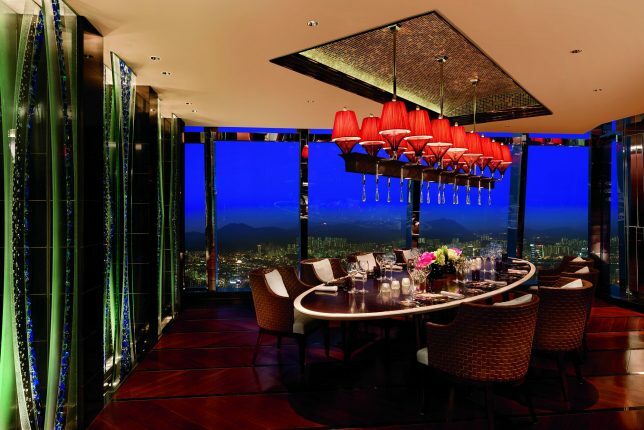 Most of the tables are placed alongside the restaurant’s floor-to-ceiling windows, about 1,131 feet above ground level. 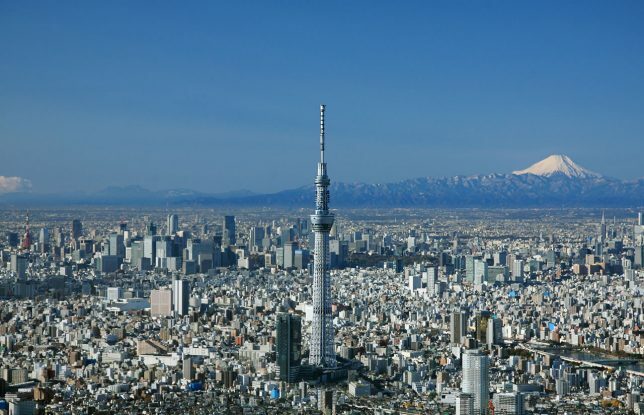 The Tokyo Sky Tree was briefly the world’s tallest freestanding tower at 2,080 feet, but was eclipsed by the Burj Khalifa (2,717 feet.) 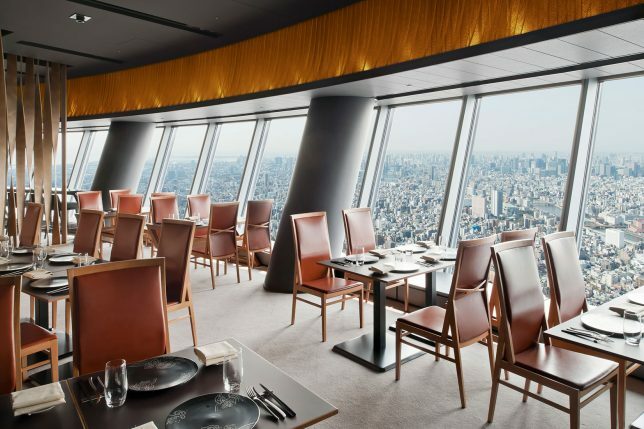 The Sky Tree doesn’t make it onto most lists of the world’s highest buildings because it’s actually a digital broadcasting center rather than a building. 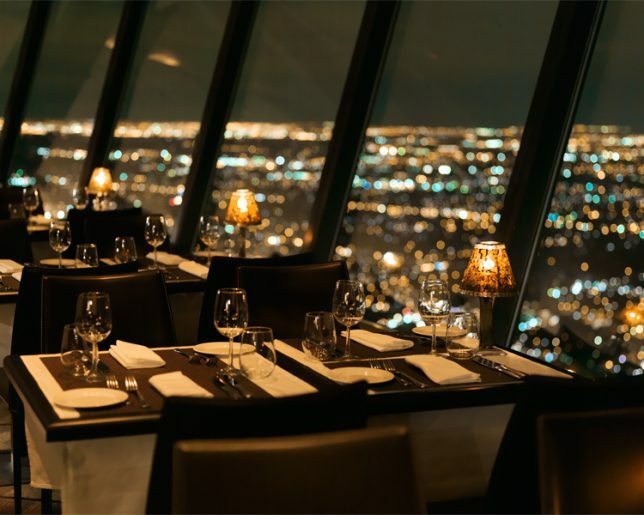 There’s no better way to see Toronto than the CN Tower, and you might as well sit down for a meal while you’re there at the revolving 360 restaurant, located 1,151 feet above street level. 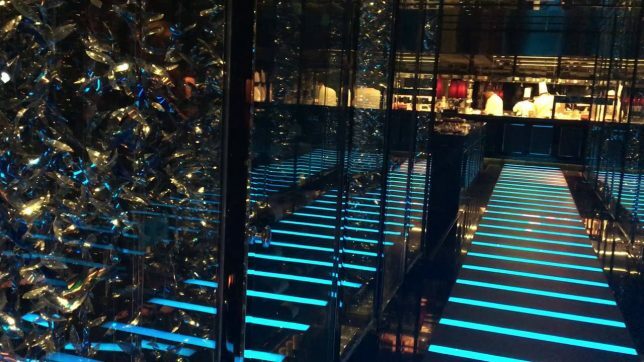 This upscale establishment is ‘no tourist spot’ and reservations are recommended.